Here is a list of our recent sponsored games that you can add to your website. 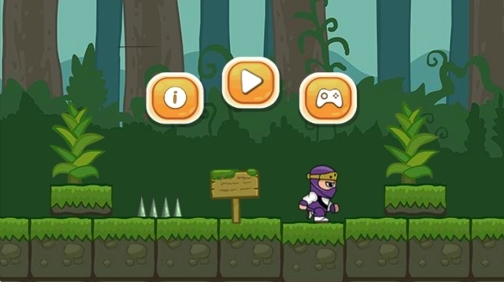 Unfair Ninja is our latest release, a really fun yet challenging game where you need to help a novice brave Ninja complete a deadly training inside the woods. Your mission is to discover all the Secret Ninja Scrolls that will teach you all the necessary skills necessary to become one of the greatest shadow warrior. The Secret scrolls are locked inside four different chests that need a special key to be opened and your goal is to find these keys while avoiding the hidden traps spread all over. 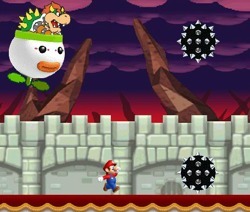 Super Mario is up for a new challenge inside this new runner game featuring Chain Chomp Shark as the main antagonist. 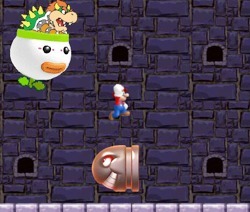 Our hero must run for his life as his follower will destroy everything in his way while trying to catch him. 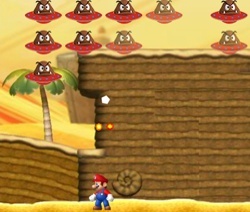 Mario needs to avoid getting trapped by the enemies in front and also escape many dangerous situations and obstacles. I do believe this game is a great one so feel free to upload it on your website if you like it. Here is our newest winter game featuring our most beloved superhero – Mario who now must complete a very special mission by rescuing Santa Claus from the evil monsters. He is the only one that can bring back the joy of Christmas in every house of his kingdom so hop in to take part to one of the greatest adventures. Try to escape all the traps set in your way and destroy the enemies that attack you at every corner and after four levels of hard playing the victory will be yours. Good luck and have fun ! We proudly introduce you our latest release Mario Run and Gun featuring your favorite character in one of the best running and shooting games developed by our team. This time our hero must fight an epic battle against a Giant Tiger Monster, Aliens Goomba, The Shy Guy and Bowser himself. 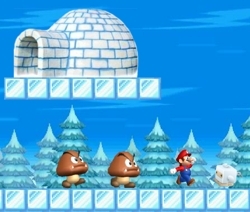 The game features 4 levels where you must guide our friend escape all the traps while jumping over deadly obstacles and shooting his enemies with ice balls. 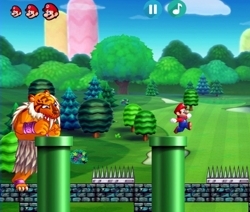 Collect 100 golden coins to win extra lives and don’t let yourself caught by the tiger. 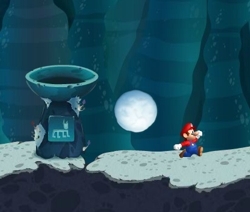 Boswer found a magic stone that opened a stargate so he and his troops are trying to take over the Mushroom Kingdom by traveling back in time. Their plan needs to be stopped fast, before the evil monster successfully conquers the peaceful land. Yet no one dares to take such a challenge and step into the unknown, but as always a hero will rise and as you may have already guessed Super Mario is once again ready to complete a hard mission. Enjoy a nice retro style game by using a mix of both new and classic graphics ! It’s time for a new adventure for our beloved hero Super Mario which now must venture deep into the dark jungle in order to reach the hidden Castle where his lovely Princess is in great danger as Bowser and his army defeated the castle guards and took princess as a prisoner again. Many dangers lies ahead our hero so your help would be highly appreciated. Try to act with great care and look very carefully before placing a step as there are hidden traps everywhere. Collect at least 50 golden coins in order to get extra lives and get a better chance when fighting the ferocious monster in the last level. Super Mario is back in action but this time things are a lot more complicated as he needs to rescue his love, Princess Peach from the heavily guarded stone tower where she is kept as a prisoner after being kidnapped by Bowser monsters. There is no room for any mistakes here, so Mario must complete his mission successfully because his girlfriend life depends on it. If you have the courage to join him in this dangerous journey I think you can consider yourself one of his best comrades. 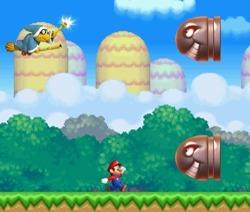 Here is our newest release “Mario Running Challenge” which continues the Mario Magic World adventure. 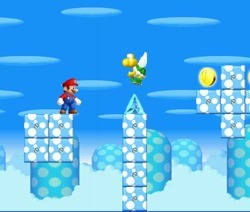 After successfully retrieving the five magic stars our hero must get them back safely to the Mushroom Kingdom yet, while trying to do so he will encounter a great number of obstacles and many enemies will try to stop him. 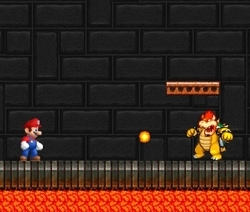 Being chased by the evil monster Bowser he must run continuously and react very fast when a threat appears so you will need good reaction skills to beat this game. 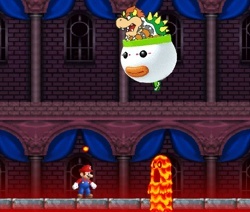 The threat is still present in the Mushroom Kingdom as the battle between Mario and Bowser hasn’t come to an end yet. 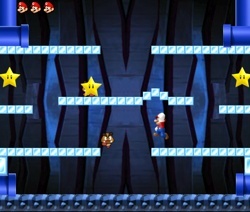 It’s well known that the terrifying monster won’t stop it’s actions unless he is defeated for good so if you feel like taking part of justice in this epic war, join Mario and help him bring back the five Magic stars that had been stolen from Peach’s Castle. Be prepared to face even bigger and dangerous enemies, escape their traps, get over obstacles and confront Bowser in person in the last level. Four stars have been hidden in four different worlds so you must explore them inch by inch. The fifth is kept in the monster lair so prepare for the final battle. This is the first episode of Mario Invaders Trilogy a 3 part series built for all our fans out there. 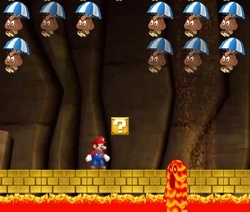 This time the war takes place in the underground world where Mario is trapped and under constant attack from his enemies that emerge from every corner. His opponents are stronger then ever so he can’t just jump on them. You must take them by surprise and hit the the platforms from underneath by jumping into it. This way the opponents won’t even notice what happened and the victory will be yours. 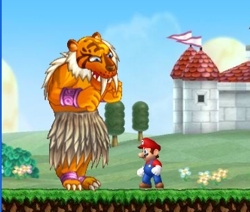 In the forth and eight levels you must confront Bowser in a one vs one match. 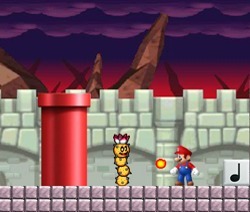 In order to stand a chance collect the power flower so that Mario can shoot fireballs but keep an eye open as there will be hidden attackers that help Bowser. 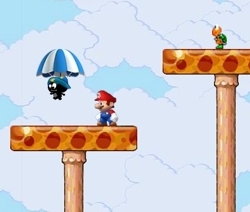 Mario’s World is under siege and our beloved hero needs a little bit of help from your side to overcome the hoards of invaders attacking from the sky. He must eliminate every single one of them in every part of his kingdom and bring back the peace once again. There are also hidden dangers lying just underneath so keep your eyes wide open for the lava monster and the annoying hamster. 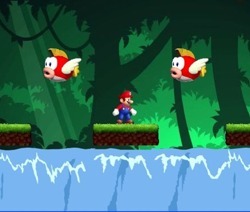 Look out for the bonus items that fall from the sky and collect them in order to win extra lives and upgrade your fire.